Jesus challenges followers to serve either God or possessions (6:24). Blessings abound to those who serve Him (6:25–34). Considering how blessed we forgiven ones are, we must not rush to judge others (Matthew 7:1–6). Explore what it means to walk in the footsteps of Israel’s Messiah. Jeff’s passage-by-passage exposition of Jesus’ principal teachings comes to life through on-location production with real-world re-enactments, all performed by Israelis. 01:01 HEARTY SHALOM TO ALL OF YOU. 01:03 JEFFREY SEIF HERE WITH ZOLA LEVITT PRESENTS. 01:09 OF JESUS ON THE SERMON ON THE MOUNT. 01:14 AS WE GO TO JESUS' TEACHING ON OUR RELATIONSHIP TO STUFF. 01:19 WE'RE SPIRITUAL BEINGS IF WE KNOW THE LORD. 01:22 WE'RE MATERIAL BEINGS AS WELL IF WE'RE HUMAN BEINGS. 01:25 WHAT ABOUT THE TENSION BETWEEN THE TWO? 01:27 HOW OUGHT WE TO LIVE? 01:29 LET'S HEAR JESUS ON THAT NOW AND MORE. 02:09 JESUS WAS ALL ABOUT GIVING WASN'T HE? 02:19 HE GAVE HIS LIFE. 02:28 THAT HE COULD HAVE USED EVERY DROP OF BLOOD IN HIS OWN BODY. 02:41 BUT THAT BLOOD WAS SPENT FOR PEOPLE LIKE ME AND YOU. 03:02 IN WHAT'S CALLED "THE SERMON ON THE MOUNT"
03:07 AND I WANT TO LOOK AT ONE SUCH EXAMPLE WITH YOU. 03:11 JESUS SAID "NO ONE CAN SERVE TWO MASTERS"
03:16 "FOR EITHER HE WILL HATE THE ONE AND LOVE THE OTHER"
03:21 "OR ELSE HE WILL BE LOYAL TO THE ONE AND DESPISE THE OTHER." 03:32 "YOU SIMPLY CANNOT SERVE GOD AND MAMMON". 03:38 IT'S INTERESTING THAT JESUS WAS SO FORCEFUL ABOUT IT. 03:57 AGAIN JUST GOING DIRECTLY AGAINST WHAT THE LORD IS SAYING. 04:02 WELL WHAT'S HE SAYING? 04:05 WHY IS HE SAYING IT? 04:11 HE'S DRAWING FROM CONCEPTS THAT ARE NOT UNIQUELY HIS OWN. 04:17 WHAT DO I MEAN BY THAT? 04:19 IN THE JEWISH WORLD THERE'S A CONCEPT CALLED "TIKKUN OLAM"
04:26 WHICH MEANS TO REPAIR THE WORLD. 04:37 TO BE ENGAGED IN "TIKKUN OLAM" IN REPAIRING THE WORLD. 04:46 IT'S NOT JUST ABOUT "ME". 04:50 BUT THE LORD SAYS IT'S ABOUT "WE". 05:03 BUT ALL OF US ARE TO SHARE IN THE GIVING. 05:15 THE THINGS OF THIS LIFE FIRST. 05:29 AND GOD'S NOT ABOUT DEPRIVING US OF THAT. 05:32 BUT WE DON'T WANT TO JUST LIVE FOR OUR OWN BELLIES NOW DO WE? 05:40 "BUT NOW THEIR GOD IS THEIR BELLY"
05:43 "AND THEIR END IS DESTRUCTION". 05:46 LET IT NOT BE JUST ABOUT "ME"
06:04 AS WE'RE BUSY ABOUT THE BUSINESS OF PUTTING HIM FIRST. 06:36 YET YOUR HEAVENLY FATHER FEEDS THEM. 06:39 ARE YOU NOT OF MORE VALUE THAN THEY? 06:42 WHICH OF YOU BY WORRYING CAN ADD ONE CUBIT TO HIS STATURE? 06:47 WHY WORRY ABOUT CLOTHING? 06:59 WAS NOT ARRAYED LIKE ONE OF THESE. 07:07 O YOU OF LITTLE FAITH? 07:34 AND FRANKLY IT DOES ME GOOD. 07:46 THERE'S A FEELING TO IT THAT HAS A WAY OF CALMING ME PERSONALLY. 08:05 HE WAS TALKING ABOUT OPENING UP AND BREATHING A LITTLE. 08:16 THAT GIVE RISE TO CONCERNS. 08:23 "IF YOU'LL FOLLOW ME YOU NEEDN'T WORRY SO MUCH ABOUT YOUR LIFE,"
08:36 GOD HAS A WAY OF CLOTHING AND FEEDING. 08:48 "YOU KNOW LIFE GETS TENSE SOMETIMES"
08:50 "BUT GOD HAS A WAY OF TAKING CARE OF CREATION"
08:52 "AND THAT MEANS THAT HE WILL IN FACT TAKE CARE OF ME." 08:58 I WANT YOU TO KNOW THERE'S REASONS TO BE RESTLESS. 09:04 WHY I BELIEVE WE CAN BE AT REST. 09:07 "THEREFORE I SAY TO YOU DO NOT WORRY ABOUT YOUR LIFE,"
09:13 "ABOUT YOUR BODY, WHAT YOU'LL PUT ON." 09:16 "IS NOT LIFE MORE THAN FOOD AND THE BODY MORE THAN CLOTHING?" 09:29 WHAT DOES IT MEAN WHEN JESUS SAYS "DON'T WORRY SO MUCH"? 09:32 OR LIKE A FRIEND OF MINE, ZVI, SAYS "DON'T WORRY, BE HAPPY". 09:37 WHAT DOES JESUS MEAN BY THAT? 09:39 MAYBE HE MEANS EXACTLY WHAT HE SAYS. 09:56 "CHILL...YOU NEEDN'T HOLD ON SO TIGHT". 10:05 IT HAS A WAY OF TIGHTENING US UP. 10:12 THE LORD HAS A WAY OF LOOSENING US UP. 10:19 THE LORD HAS A WAY OF POURING MORE BLESSINGS INTO US. 10:29 "SEEK FIRST GOD'S KINGDOM AND HIS RIGHTEOUSNESS"
10:32 "AND ALL THESE THINGS WILL BE ADDED UNTO YOU". 10:35 THE STUFF OF LIFE...THE LORD SAYS "SEEK ME FIRST". 10:44 THAT WE NEED IN LIFE OR EVEN THINGS THAT WE DESIRE IN LIFE. 11:05 HIS BLESSINGS WHICH WILL COME TO US IN MANIFOLD WAYS. 11:21 ASK FOR OUR FREE MONTHLY NEWS LETTER "THE LEVITT LETTER". 11:24 WHEN YOU CALL BE SURE TO ASK FOR OUR FREE CATALOGUE WITH THE LATEST VIDEOS, BOOKS, AND MUSIC. 11:33 READING PACKETS, TEACHINGS CDs, AND MAIL-IN TESTS. 11:40 OR CRUISE THE MEDITERRANEAN VISITING GREECE AND EPHESUS. 11:44 PLEASE CONTACT US FOR MORE INFORMATION. 11:54 FOR THEY WERE FISHERMEN. 12:00 AS DO THE FISHERMEN LIKE DANIEL CARMEL. 12:09 ON THE SEA OF GALILEE WORSHIP BOATS. 12:11 JOIN US IN WORSHIP ON THE GALILEE. 12:39 THAT SEEMED TO MAKE THE TRIP WORTHWHILE. 12:45 THE WATER, THE AMBIANCE, IT IS JUST ABSOLUTELY REFRESHING. 12:57 TO THE WORLD WHERE THE GREATEST REFRESHMENT CAME. 13:00 JESUS DESCRIBED HIMSELF AS LIVING WATERS. 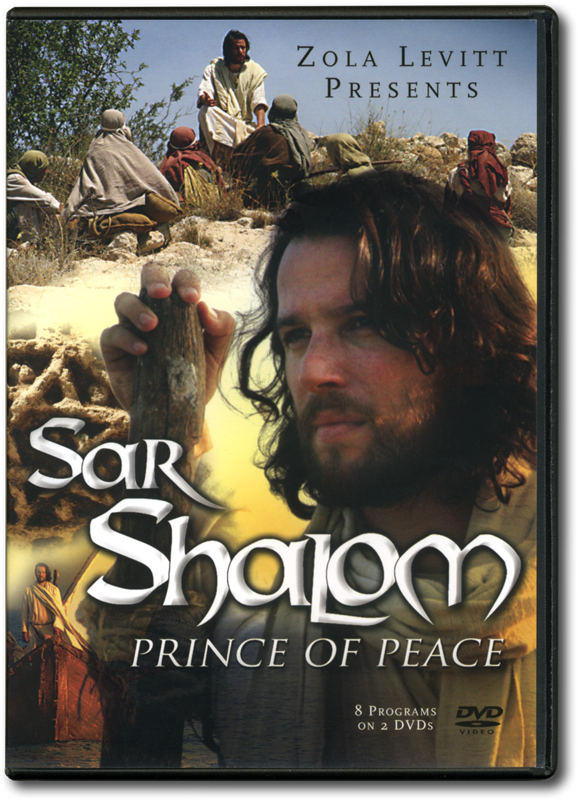 13:09 "SAR SHALOM - PRINCE OF PEACE". 13:28 YOU'RE GOING TO LOVE IT. 13:35 IT COMES TO YOU FOR THE ASKING. 13:42 AND YOU'LL GET INFORMATION ABOUT GOING THERE. 13:50 PICK UP OUR MAGAZINE AND MORE. 13:55 TEACHING ON THE SERMON ON THE MOUNT. 14:07 THE SERMON ON THE MOUNT WAS A LESSON IN HUMILITY. 14:11 "JUDGE NOT THAT YOU BE NOT JUDGED" HE SAID. 14:14 "FOR WITH WHAT JUDGMENT YOU JUDGE...YOU WILL BE JUDGED"
14:19 "AND WITH THE MEASURE YOU USE..."
14:21 "IT WILL BE MEASURED BACK TO YOU"
14:35 BUT TO NO AVAIL. 14:46 AND BLAMES THEM FOR NOT RETURNING WITH BASKETS FULL OF FISH. 14:53 "FOR WHAT JUDGMENT YOU JUDGE..."
14:56 "YOU WILL BE JUDGED" SAYS THE LORD. 14:58 "AND WITH THE MEASURE YOU USE..."
15:01 "IT WILL BE MEASURED BACK TO YOU." 15:09 SOME PEOPLE TALK WAY TOO MUCH. 15:13 AND THEY TALK ABOUT THINGS THEY HAVE NO BUSINESS TALKING ABOUT. 15:17 THERE IS A HEBREW EXPRESSION CALLED "LASHON HARA"
15:23 WHICH MEANS "AN EVIL TONGUE"
15:26 AND SPEAKS TO THE HABIT OF PEOPLE UTTERING BAD SPEECH. 15:38 WHEN PEOPLE POINT THE FINGER. 15:45 THERE'S ROOM IN THE WORLD FOR TWO TYPES TO POINT THE FINGER. 16:04 AND PUT PEOPLE WHERE THEY NEED TO BE PUT. 16:22 TALKING ABOUT THINGS THAT WE JUST SIMPLY DO NOT UNDERSTAND. 16:39 "DON'T BE SO QUICK TO POINT THE FINGER"
16:42 "AND MAKE ASSERTIONS ABOUT THINGS"
16:44 "WHEN YOU DON'T KNOW WHAT YOU'RE TALKING ABOUT"
16:46 "LEST IT COME BACK TO BITE YOU." 16:52 LATER ON JESUS WEIGHS IN EVEN STRONGER YET. 16:58 "DON'T BE TAKING THE SPECK OUT OF EVERYONE ELSE'S EYE,"
17:01 "GOING AROUND CORRECTING EVERYBODY"
17:03 "AND NOT SEEING HOW YOU YOURSELF HAVE THIS ENORMOUS PLANK IN YOUR OWN EYE." 17:07 FUNNY HOW YOU CAN'T SEE THAT. 17:24 SOMETHING OF A RAVENOUS BEAST. 17:35 AND GET IN THE WAY OF DESCENT PEOPLE. 17:42 "DON'T JUDGE LEST YOU BE JUDGED". 17:54 TO MAKE "SNAP" JUDGMENTS. 18:02 WHAT WE WIND UP DOING IS DESCRIBING THE WORLD THAT'S INTERIOR TO US. 18:35 IT SAYS MORE ABOUT US THAN THE WORLD. 18:37 LET'S BE PATIENT WITH OTHERS. 18:56 AS MUCH AS THE PROBLEM IS THE WORLD THAT'S INTERIOR TO US. 19:00 THIS IS AN IMPORTANT TEACHING OF JESUS. 19:05 AND HERE'S TED PEARCE SINGING "GLORIOUS OH GOD"
21:57 AND MUSIC HAS A WAY OF TAMING THE SAVAGE BEAST NOW DOESN'T IT? 22:14 WHERE WE CAN RECEIVE GOD'S PRESENTS. 22:18 OH THERE ARE ANSWERS, WOULD THAT WE WOULD SEEK HIM. 22:28 PRAYER IS HELPFUL TOO NOW ISN'T IT? 22:34 AND THE LATE ZOLA LEVITT IS POINTING US TO JESUS. 22:43 GETS IN THE WAY OF GOD'S GOOD PURPOSES. 22:48 AND PUT THAT FIRST INSTEAD OF OUR OWN. 22:52 REMINDS US OF WHAT JESUS SAID ON THAT AND MORE. 23:01 "THY KINGDOM COME, THY WILL BE DONE". 23:11 AFTER ALL JESUS IS THE SON OF GOD. 23:14 HOW DO WE BECOME CHILDREN OF GOD? 23:18 "TO ALL THOSE WHO RECEIVED HIM"
23:19 "HE GAVE THE POWER TO BE CHILDREN OF GOD". 23:27 "WE BECOME LITTLE CHILDREN AGAIN" AND TRULY GOD'S CHILDREN. 23:34 "I ASCEND TO MY FATHER AND YOUR FATHER, MY GOD AND YOUR GOD". 23:45 "BUT YE HAVE RECEIVED THE SPIRIT OF ADOPTION"
23:48 "WHEREBY WE CRY 'ABBA FATHER'." 23:52 "HALLOWED BE THY NAME" THE PRAYER GOES ON. 23:54 HOW DO WE HALLOW JEHOVAH'S NAME AND MAKE IT HOLY? 23:57 JEHOVAH TOLD MOSES HIS NAME WAS "I AM". 24:01 IN THE WILDERNESS CHILDREN OF ISRAEL STARTED TO THINK HIS NAME WAS "I WAS". 24:07 "DID YOU BRING US OUT HERE BECAUSE THERE WEREN'T GRAVES ENOUGH IN EGYPT?" 24:09 WE CAN SYMPATHIZE; WE'RE ALL MAKING AN EXODUS JOURNEY. 24:13 PROGRESSING SLOWLY TOWARD JERICHO, HEAVEN ON EARTH, AND THE PROMISED LAND. 24:17 WE'RE COUNTING ON "I AM" TO PULL US THROUGH. 24:19 HIS NAME IS VERY SPECIAL. 24:21 THE JEWS DON'T WRITE IT OR SPEAK IT. 24:34 SO THAT THEY DON'T PROFANE HIS NAME BY WRITING IT. 24:47 HE'S IN A PERSONAL RELATIONSHIP WITH US. 24:50 AND HE IS EVER WITH US IN TIMES OF TROUBLE. 25:03 IT WILL OPEN TO US. 25:06 OH, GOODNESS, THE BIBLICAL TESTIMONY IS JUST FULL OF GOOD NEWS FOR MODERN MAN. 25:13 ZOLA REMINDED US THAT HIS NAME IS "I AM". 25:18 AND FOR ME THAT'S PROFOUND. 25:20 THE NAME ISN'T "I WAS" OR "I WILL BE". 25:23 THERE'S A KIND OF PRESENCE NOW FOR THOSE WHO SEEK HIM. 25:30 WOULD THAT WE WOULD DO SO THE MORE SO. 25:36 I KNOW MY MIND CLUTTERS UP MY WORLD SOMETIME. 25:42 IT HELPS US TO PROBLEM SOLVE. 25:44 BUT SOMETIMES MY CREATIVE IMAGINATION GETS IN MY WAY. 25:52 AND IT GETS IN YOUR WAY AS WELL. 25:57 AND DISCUSSED THAT AND PRAYER AND SEEKING GOD. 26:05 THEN THERE ARE ANSWERS FOR VEXING HUMAN DILEMMAS. 26:13 IN THIS PROGRAM WE'RE ALL ABOUT PRESENTING THE PRINCE OF PEACE. 26:20 IS BY SOLVING THAT WHICH WARS AGAINST US. 26:24 IF YOU NEED TO, PLEASE GET ON HIS SIDE OF THE STRUGGLE. 26:29 SOMETIMES OUR BASE PASSIONS AND TENDENCIES WORK AGAINST WHAT HE WANTS TO ACCOMPLISH IN US. 26:39 BUT FIGHT THE GOOD FIGHT OF THE FAITH. 26:45 AND THAT YOU'LL JOIN US NEXT WEEK.